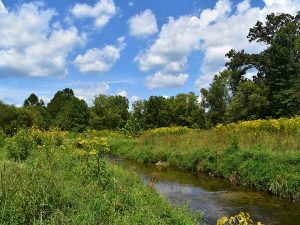 The Ecotone/JMT team provided design, permitting, and construction for Maryland's first design-build stream restoration project. Roadway projects often include considerations for their associated environmental impacts, and mitigation efforts vary in their effectiveness. 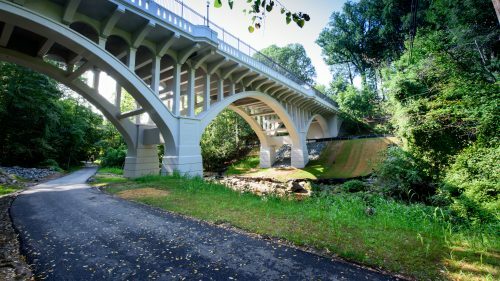 The Maryland State Highway Administration (SHA) sought innovative ways to reduce the amount of pollutants entering the Chesapeake Bay via tributaries and streams located near state roads. The team of JMT and Ecotone, Inc. was selected to provide design, permitting, and construction for the SHA’s first design-build stream restoration project. Our goal was to provide a cost-effective and stable solution utilizing stream and floodplain restoration techniques to obtain Total Maximum Daily Load (TMDL) reductions for total nitrogen, total phosphorus, and sediment contributing to the degradation of the Chesapeake Bay. 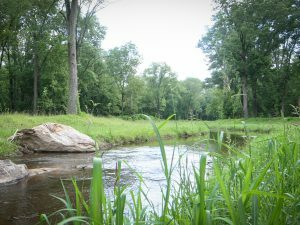 The Upper Little Patuxent River stream restoration project extends for approximately 3,650 LF, as well as 600 LF of an unnamed tributary. 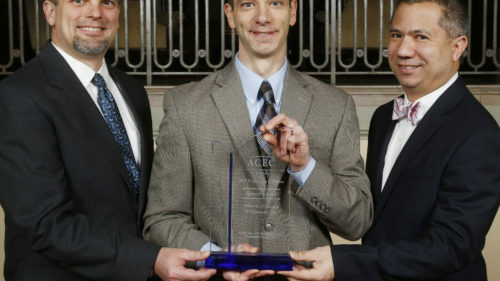 We conducted a comprehensive assessment and analysis based on review of previous studies, as well as our own natural resource inventories, hydrologic and hydraulic analysis, stream corridor investigation, stream bank sediment and soil study, sediment mobility study, geomorphic data analysis, and a sediment load and transport capacity estimate. These efforts were performed to develop an understanding of the existing impacts within the stream corridor, current geomorphic processes, and causes of instability to develop potential restoration recommendations. The restoration of the Upper Little Patuxent River emphasized water quality improvements, increased flood attenuation, and significant reductions of sediment and nutrients to downstream receiving waters. To accomplish these objectives, Ecotone/JMT implemented a highly connected stream and lower floodplain wetland system that directly removed the highly erodible and nutrient-rich sediments that have impaired the valley bottom and created a highly incised stream channel. This geomorphically-stable solution resulted from a more frequent hydraulic connection to bankfull and higher flows, increased flood flow attenuation, reduced shear stresses, increased vegetative stability, and improved water quality. A large component of the stream and floodplain restoration design is increased chemical and biological functions. The lower floodplain allows for the creation of a dense, native wetland plant community increasing nutrient processing and microbial processes essential to the denitrification process. 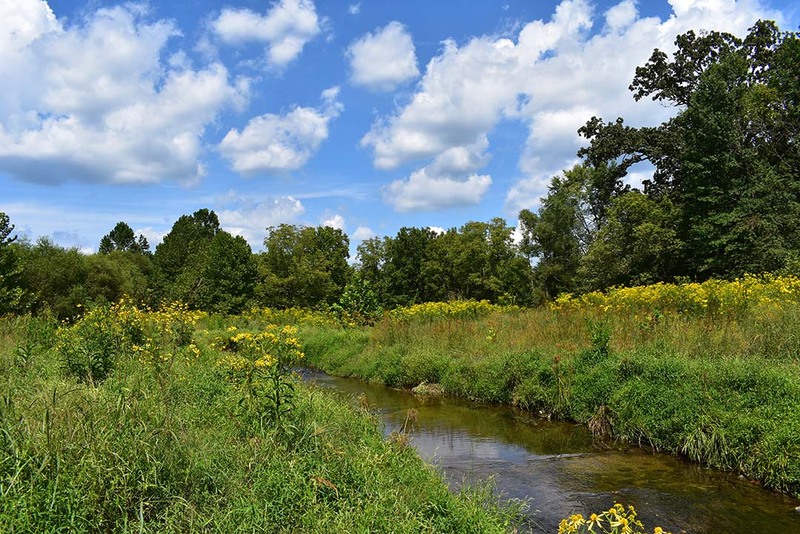 The high connectivity of plants to ground and surface waters provides aquatic food sources and habitat and promotes native plant biodiversity and long-term vegetative stabilization. 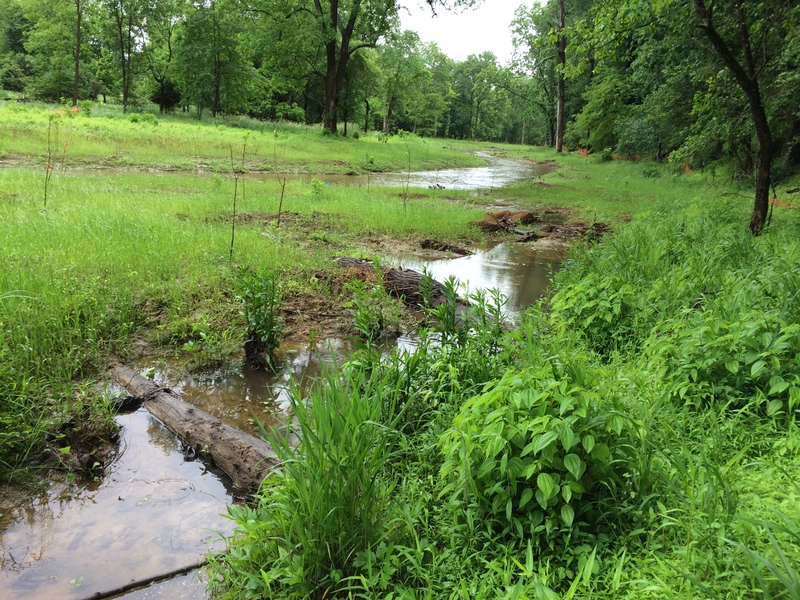 In total, more than 3.5 additional acres of wetlands were created at a lower elevation and connected to the base flow of the channel. According to an industry standard for nutrient removal rates in stream restoration projects, significant project benefits have been realized. 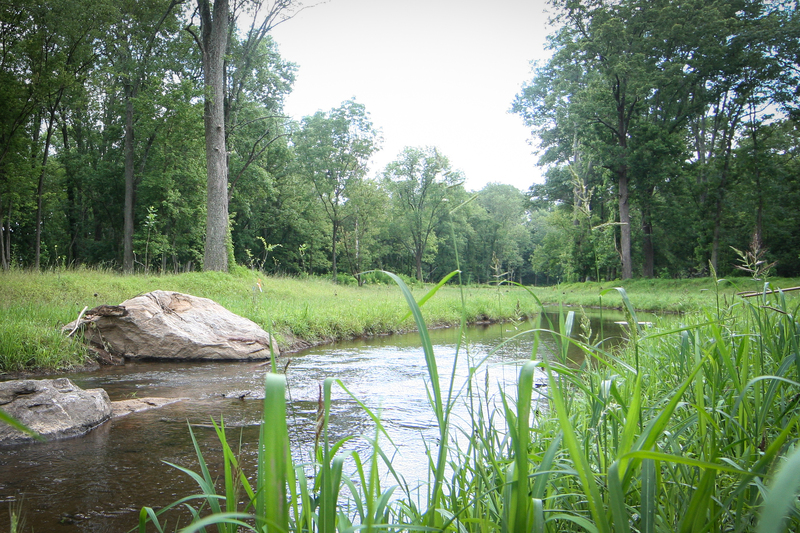 Restoration of this section of the Upper Little Patuxent River will provide annual reductions of 3,560 pounds of nitrogen, 965 pounds of phosphorus, and 1,254 tons of sediment. These reductions can be credited toward the required load reductions that SHA needs to meet for the Bay TMDL. 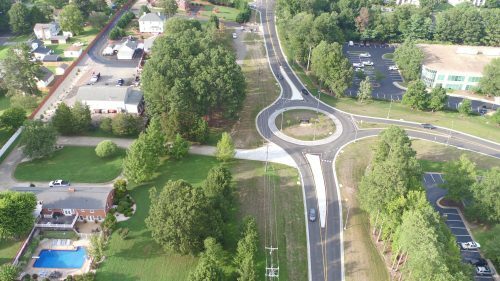 The Upper Little Patuxent project was honored with the Green/Sustainability/Environmental Award by the Maryland Quality Initiative, as well as the Environmental Excellence Award for the Maryland State Highway Administration by the Maryland Department of Transportation.